HALIFAX — Tesla is building fast-charging stations for its electric vehicles in Atlantic Canada, opening up the East Coast to road trippers with the California automaker's high-end electric cars. The company has plans to set up dozens of new "supercharger" stations across Canada, including seven in the Maritimes — five in New Brunswick and two in Nova Scotia — by the end of 2018. "Tesla has been building electric-vehicle charging infrastructure across Canada with the objective of enabling people with a Tesla to drive across the country," said Dan Woynillowicz with Clean Energy Canada, a British Columbia-based think tank. "It's one thing to use an electric car for your daily driving habits," he said. "But Canadians also like to go on summer road trips and that's where you need to be able to charge up between cities and across the country." The fast-charging stations take about 30 minutes to recharge an electric vehicle to about 80 per cent capacity, enough to hit the road for about three hours, depending on model and conditions. While rates vary across the country, it's expected to cost 28 cents a minute in Nova Scotia, or roughly $8.40 for half an hour. A spokeswoman for Tesla said the company does not comment on new charging sites until they are open, but confirmed the sites are for Tesla vehicles only. "It means that more consumers might be inclined to buy a Tesla because of the charging infrastructure," Woynillowicz said. "The latest vehicle, the Tesla Model 3, is at a much more competitive price so is more accessible to consumers." Motorists with other makes of electric vehicles aren't likely to see a network of fast-charging stations in Nova Scotia any time soon. Efforts by Nova Scotia Power to install a dozen fast-charging stations across the province were rejected by the energy regulator this month. The utility had planned to build a network of Level 3 charging stations, also called direct current fast-chargers, which use a 480-volt system similar to Tesla's "supercharger" stations. The key difference, however, is the utility's charging stations would have been compatible with all battery electric vehicles, not just Teslas. NS Power had planned to locate the 12 stations roughly every 65 kilometres along Nova Scotia's highways — ideal for a scenic getaway across the province — at a cost of $2.50 for every 15 minutes of charging. "Electric vehicles are the future of transportation," Karen Hutt, utility president and CEO, told a crowd gathered at NS Power's Halifax headquarters last August. "We're about to make it easier for Nova Scotians to own and drive an electric vehicle." The utility said the stations would be open this spring at a cost of roughly $884,000, about half of which was to be covered by Ottawa. But the province's energy regulator denied the proposal in a decision released Jan. 4. The Nova Scotia Utility and Review Board found that although electric vehicle owners would benefit from the fast-charging stations at a competitive price, the proposed project was "not in the best interest of (the utility's) ratepayers." Woynillowicz said the region seems to be stuck in a chicken-and-egg scenario. "The energy board denied Nova Scotia Power's proposal to build these charging stations because they said not enough ratepayers own electric cars and could benefit," he said. "But one of the concerns of consumers is 'Am I going to be able to charge this up?' and that requires electric vehicle charging infrastructure." NS Power spokeswoman Tiffany Chase agreed the lack of high-speed charging stations is a primary inhibitor to Nova Scotians adopting electric vehicles. "It was a great opportunity to bring a high-speed charging network to Nova Scotia and understand the impacts on the electrical system, with the investment cost-shared by Natural Resources Canada," she said in an email. "We know that electric vehicles are an important part of a lower-carbon future." Chase noted that other utilities have taken advantage of federal funding, such as New Brunswick Power, which is in the final stages of installing a 15-charger network. "There's a fast-charging network across the majority of Canada that ends at the Nova Scotia border," she said. NB Power has installed 13 charging stations across the province, with plans for two more. Utility spokesman Marc Belliveau said each station will be equipped with both Level 2 and Level 3 chargers. Meanwhile, Woynillowicz said the decision by Nova Scotia's energy board exemplifies the need for leadership by the provincial government. While British Columbia, Ontario and Quebec have encouraged the switch to electric vehicles through purchase incentives and significant investments in charging infrastructure, he said other provinces including the Maritime region have been slower to encourage electric cars. Chase added that the decision highlights that there "may be an opportunity to create better alignment between government policy and the regulatory arena." 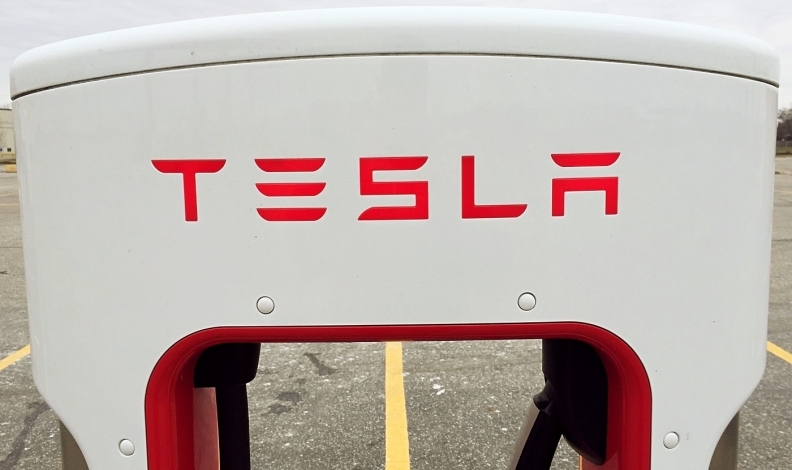 Tesla plans to set up its supercharger stations in Halifax and Truro, while in New Brunswick the company is planning stations for Saint John, Fredericton, Moncton, Edmundston and Woodstock. According to PlugShare, an online database of charging stations around the world, Nova Scotia currently has only two Level 3 — or fast-charging — stations, located in Halifax and Truro.